Police have named the victims of a road accident and house fire which both took place in Corby on Saturday night. The woman who died after being hit by two cars in Oakley Road, Corby, at 7.30pm on Saturday has been named as Lauren Partridge, 29, of Corby. 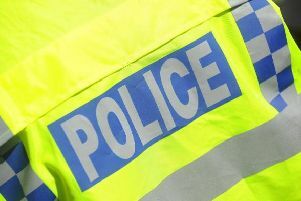 She was crossing the road with a 28-year-old man when the collision took place near the junction with Lyveden Way. The couple were initially involved in a collision with a red Daewoo Matiz before being involved in another collision with a silver Mercedes-Benz. The man sustained serious injuries and was taken to University Hospital Coventry, but a police spokesman said he has now been released from hospital. Officers have also named the man who died in a house fire in Brixham Walk, Corby, at about 7.55pm on Saturday as William Robertson, 46, of Corby. A 24-year-old man and a 24-year-old woman managed to escape from the property via an upstairs window, but firefighters discovered the victim within the living room area. Mr Robertson was confirmed dead at the scene and the blaze is not being treated as suspicious. Subsequent investigations have confirmed the cause of the fire was a chip pan on the stove in the kitchen.